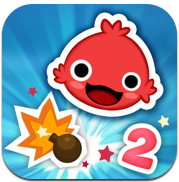 Of all the games in the app store, iBlast Moki 2 may be the most original. Sure, the 90 level, 4 world structure feels a lot like Angry Birds at first, but this is an experience unto itself. 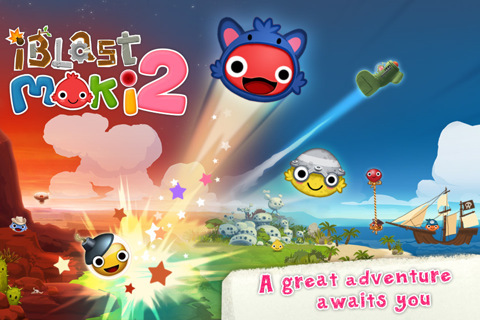 Those familiar with Godzilab‘s original iBlast Moki will recognize the colorful portal flying experience immediately, but as the successor to an already award winning game, Moki 2 exceeds expectations. 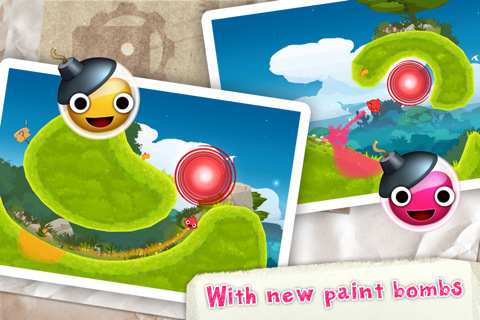 The game is founded on the principle of transporting colorful creatures called Mokis to portals that float in the air like circular orbs of color. Instead of having reins over actual Moki movement though, the name of the game is to move the Moki with the tools you’ve been given. At first this is simply a matter of setting bombs to go off in a way that will propel Moki to its time portal, but over time everything becomes much more complicated. Instead of straight paths through the air the developers introduce obstacle course levels that float through brightly colored universes. 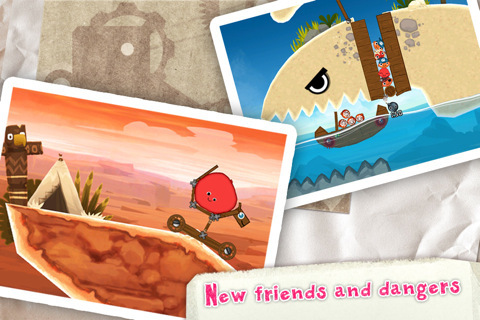 A toolbox on the right hand side of the screen gives players access to everything they need to get Moki to its portal. At first this might include a bomb or two, but the quick integration of paint bombs adds a little spice to an already bustling strategy game. When paint bombs explode they splatter their insides around them, changing properties of the ground to create varying effects like bounce, stick, or acceleration. Add to that the advanced integration of balloons, rods and ropes, and suddenly iBlast Moki is a physics player requiring true strategy. 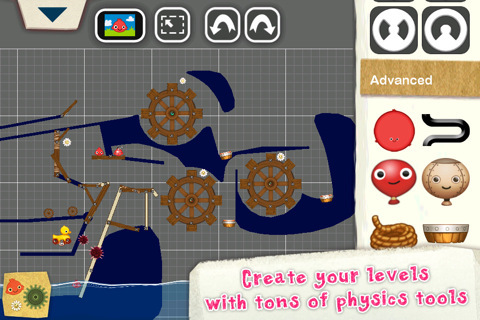 Godzilab even includes a physics creation section that lets users create their own objects, which is helpful when the game becomes so advanced that your little character ends up riding toward its portal in ways you never could have imagined. All said and done, iBlast Moki 2 delivers a unique experience in a beautifully finished environment. The added social layer that allows players to view the solutions presented by other high scorers is especially interesting, but what’s most rewarding of all is the sense of accomplishment you’ll feel with every innovative solution. Few games in the app store require this much inventive, outside of the box thinking and iBlast Moki 2 benefits greatly from the demand on its players. Bottom Line: iBlast Moki 2 may not include the best tutorials out there, but after a bit of gameplay this is by far one of the most creative games in the app store.